My fiance and I are getting married in November. I really want the wedding to have a sophisticated yet warm and laid-back feeling rather than a traditional fall harvest theme. I have really been struggling with the color palette - in general, I gravitate toward neutral shades and cool tones, but I don't want the wedding to be bland or stark. I have been toying with the idea of green, gray, and rust, but am not entirely certain that this would work. We're having a small wedding party, so a line of bridesmaids dresses proclaiming our color scheme doesn't work. Also, we're trying to keep our cost down by eliminating things like specialty linens, favors, programs, menus, etc. Thus, our color scheme is limited to flowers, the maid off honor dress, flower girl dress, and paper goods. Do you have any ideas how to pull off the gray, green, and rust? Maid of Honor: I would put the maid of honor in a rust color dress, such as the one in the color palette from Lazaro Bridal. Her flowers could either be different shades of green, or similar to the bouquet in the color palette; that is, rust color flowers with pops of green. As for jewelry, the maid of honor could wear jadeite green jewelry which is very vintage looking. Jadeite jewelry can be found on etsy, antique shops, or by searching online. Don't forget about the shoes! Shoes can also help bring your color scheme into focus. The maid of honor could wear charcoal, rust, or green shoes to help bring the color into the celebration. 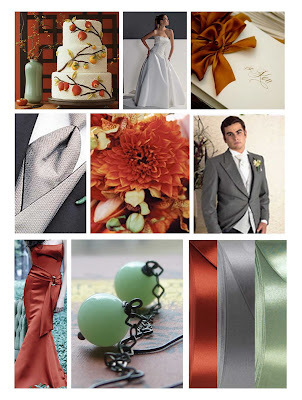 Bride (Jessica): Jessica could also carry rust color flowers with pops of green, tied with charcoal ribbon. She can even have a charcoal ribbon sash around her dress (if style permits) to incorporate this color into the celebration more. Groom and Groomsmen: The boys could wear charcoal color suites, such as the one pictured below in the color palette. They could have rust color boutonnieres with a small amount of greenery to incorporate the green color. For the tables, I think I would opt for cream or ivory color table cloths. 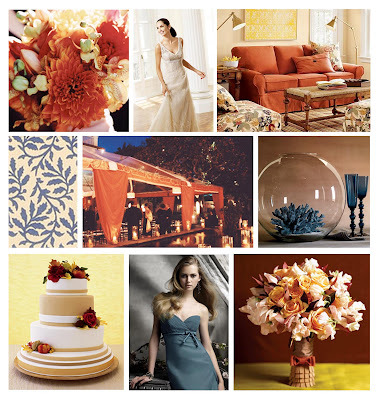 This way, if you decide to do rust color florals with green, they will pop off the table cloth color. Plus they will look really fresh against a neutral shade such as cream. If you are having paper napkins for the cake or cocktail hour you could have those in any one of the three colors to incorporate the color scheme there. Paper goods such as invitations and table numbers are a great way to proclaim your color scheme, especially since the invitation is basically the introduction to your event. If you decide to work with a custom designer they can provide many personalized options of ways to proclaim your colors via your invitation. For the flowers, you can ask your florist what is in season in November in rust and green colors. 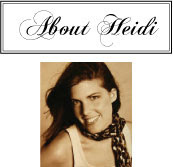 They will be able to direct you to wonderful choices for the look you are going for. Another color option for Jessica would be our Golden Yellow, Rust and Indigo color palette. We posted about it here, but here is a picture of it again. 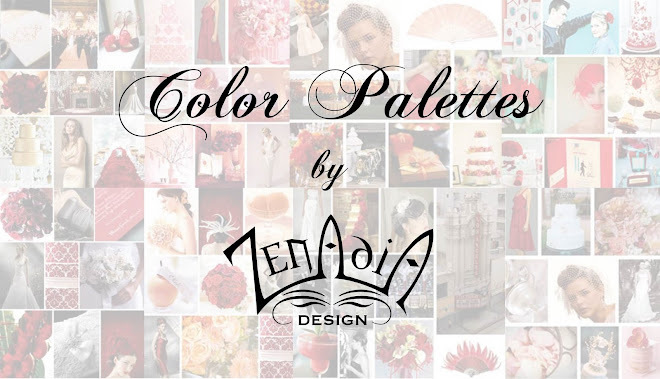 This palette would give her the sophisticated fall colors she is looking for as well. I hope my ideas and color palette can help Jessica envision her perfect wedding day! Do you have any ideas for Jessica on how to pull off rust, green and charcoal color scheme? Leave a comment and let me know what you think!